Heidi’s note – We sure hope you enjoyed last month’s Farmers Market Fritatta from Frugal Foodie Mama! Carrie is back this month with another mouth watering recipe for Summer Harvest Potato Salad. Stop by the market on Sunday, get to know your farmers, and pick up the ingredients for this lovely summer side! 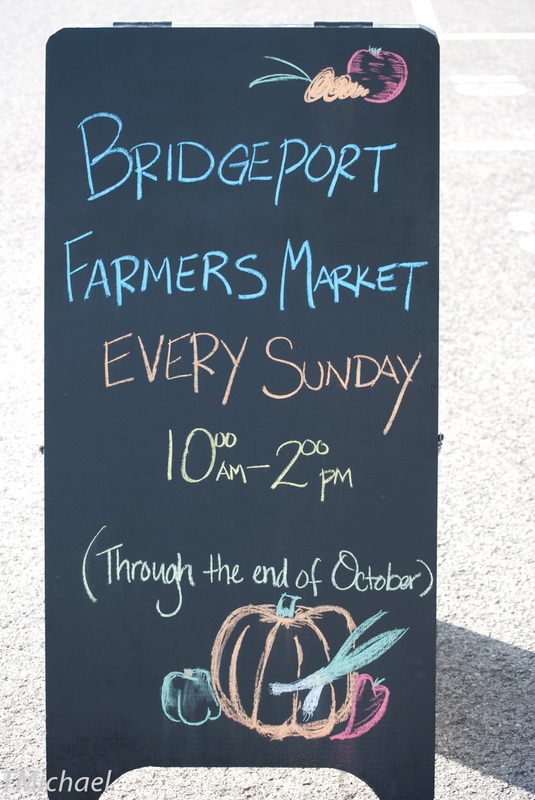 If you visit the Bridgeport Farmers Market on any given Sunday during their outdoor season, you are sure to find at least 20 different local farmers selling their freshly picked vegetables and pasture raised eggs & meats from baskets and coolers at various tables throughout the market. I am on a mission this outdoor farmers market season to show you how you can create a delicious meal purchasing only locally grown & raised produce and meats at the market this summer. Each month I will be sharing a recipe to the Bridgeport Farmers Market blog inspired by and featuring some of my favorite fresh & local finds from the market. For the month of July, I am sharing a fresh & lightened up potato salad recipe with you all. I am all about homemade potato salads for backyard BBQ’s and summer picnics. But we all know that traditional potato salad recipes usually tend to be heavy and loaded with mayonnaise (which is a no-no when the hot summer sun is pounding down on your picnic table). For this Summer Harvest Potato Salad, I combined locally grown potatoes & the freshest in-season veggies with a super simple 3 ingredient fresh basil dressing. You can really use any variety of smaller potatoes in this salad. The folks at Hawthorne Valley Farm tend to have a nice selection of different varieties of locally grown & harvested potatoes this time of the year, so their table is always my first stop when I know that potato salad will be on my backyard barbecue menu that week. And feel free to change up this potato salad recipe by adding in your favorite summer fresh veggies. I think that sweet local corn or roasted garlic would also be a great addition to this salad. Place the potatoes into a large saucepan & cover them with water. Bring to a boil and continue to cook the potatoes until they are almost fork tender. Remove from the heat, drain in a colander, and set aside. While the potatoes are boiling, combine the cut up zucchini & summer squash in a medium sized bowl. Pour 1 tbsp olive oil over them and toss well to coat. Spread them out in a single layer on a baking sheet & roast in the oven for 15-20 minutes. Let cool for at least 10 minutes. Now for a quick blanch on the green beans. Bring salted water to a boil in a medium saucepan. Boil the green beans for 3 minutes. Quickly drain in a colander and then plunge into an ice bath. This can be done in a large bowl or sink filled with cold water and ice. Add the remaining 2 tbsp olive oil, vinegar, and torn basil leaves into a food processor. 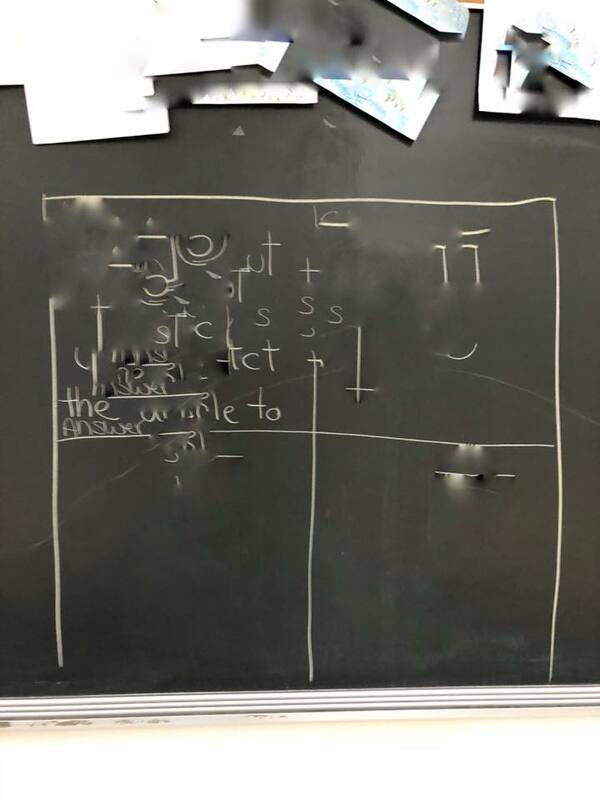 Pulse until well mixed. Add the basil mixture to the veggies in the bowl and then mix well. Season with salt & pepper, to taste. Serve immediately at room temperature or chill & serve cold later. Keep any leftover potato salad wrapped tightly in the refrigerator for up to 3 days. A great, simple, and straight-forward looking potato salad.